TweakerLabs announced today the public launch of Tweaker, a mobile app and a revolution in finance that allows the ?power of the people” to reign over Wall Street. Debuting September 12th at San Francisco?s TechCrunch Disrupt, TweakerLabs is celebrating the public launch of Tweaker with contests for cash prizes that attendees and remote-participants can play online as well as from any Android-based phone. Powerful enough for the stock professional, yet simple and intuitive enough for the investing rookie, the app is the first of its kind to capture public insight on any stock, public or private, worldwide. Tweaker then shares that information back with the community, creating a clear picture of a company's outlook. The valuation engine then provides an independent insight on any stock, freeing financial opinion from a small group of analysts. Tweaker brings “the Wisdom of Crowds” (i.e., you and 10 million of your best friends) directly to Wall Street's doorstep. The power behind Tweaker is an objective, Wall Street-tested algorithm responsible for previously driving billions of dollars of institutional investment. 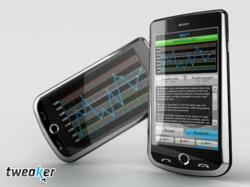 Tweaker can be downloaded from the Android Marketplace starting September 12, 2011. A special launch contest runs from September 12-14. The point leader as of the market close on September 14th will win a grand prize of $ 250. The second-place finisher will receive $ 150, and each day $ 50 will be awarded to the individual with the highest point total for that day. In addition, Tweaker is holding a special Facebook Private IPO contest with a prize of $ 500 starting on September 12th. Complete contest details are available at the Tweaker blog (http://www.tweakerlabs.com/blog/) and Tweaker users can sign up for contests at http://www.tweakerlabs.com/techcrunch. Stop by our booth at TechCrunch for free training and coveted bonus points in Monday?s Tweaker competition! The September 12th release of Tweaker will be a TechCrunch-specific build. In the coming weeks, Tweaker will release full Android and iPhone builds. For more information and an introductory video, visit http://www.tweakerlabs.com. Tweaker is the brain-child of technology veteran Courtney Couch and Wall Street veteran Trent Nevills, who are both passionate about bringing finance to the masses. TweakerLabs' goal is to meld the world of finance, social media and technology. TechCrunch Disrupt SF 2011(http://disrupt.techcrunch.com) is TechCrunch?s second annual conference in San Francisco attracting over 2,500 leading technology innovators and investors and over 150 new startups. The main conference is preceded by the popular Hackathon — a 24-hour competition where over 500 top developers present new innovations. TechCrunch Disrupt follows with a format that combines top thought-leader discussions with new product and company launches. Morning executive discussions debate the most timely disruptions in the technology industry. Afternoons host the Startup Battlefield where 30 plus new companies will launch for the first time on stage, selected to present from more than 1000 applications received from around the world. Another 100 early-stage startups will exhibit in Startup Alley. TechCrunch will award a $ 50,000 grand prize along with other award recognitions at the conclusion of the conference. The Hackathon is Sept 10-11; the main conference is Sept 12-14 2011 at San Francisco Design Center Concourse, 635 8th Street (at Brannan), San Francisco, CA 94107.